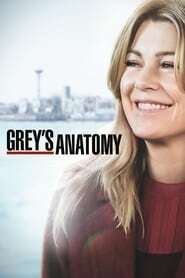 : The doctors of Grey Sloan Memorial throw a fundraising gala which turns wildly competitive after Jackson makes a rash promise. Back at the hospital, Bailey’s patience is tested when she has to deal with several extremely difficult patients. Meanwhile, Shane and Stephanie handle an incredibly busy ER by themselves and Alex reveals an emotional secret to Jo.